As the new year is approaching there’s a lot of things on your to do list; like lose those pesky holiday pounds that you put on during the winter festivities, sticking to your short term goals and moving toward those long term goals and whatever else you’ve planned for 2018. But, before you bring in the new year you should plan an awesome sailing trip to the San Blas Islands. 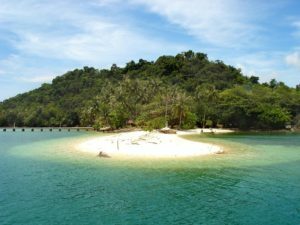 These Islands that are off of the coast of Panama and Colombia have the most interesting attractions within the 378 islands; just 49 of the islands are inhabited, with that many places to choose from how could your vacation get boring. One of many attractions that this area possess is its serious amount of PEACE AND QUIET! The Guna tribe take relationships and socialization to a whole new level. Since the Islands lack the amount of modern day technology like we have in Europe or North America you won’t have to fight for attention amongst your loved ones like you would have to elsewhere, or the dreaded thoughts of traffic caused by 9 to 5ers getting off of work at the same time. Those two benefits alone make this place seem like heaven on Earth! You can book your own personal island for pennies a day, check with the locals when arriving and they will inform you of which islands are vacant. The best way to get to this region of the San Blas Islands is to sail the high seas with Blue Sailing from the mainland of either Colombia or Panama. Since an airport, tarmac or runway is unseen around the islands, sailing or driving on unpaved roads is the fastest way to get around. Sailing is one of most adventurous modes of transportation around the area. You get to feel the crisp ocean breeze on your skin, view the beautiful horizon and not mention the whales, dolphins, sharks and other sea creatures swimming past your boat. Its truly a mesmerizing experience.There are plenty of islands that are uninhabited where free docking is encouraged and discovering the beautiful jungles are widely desired amongst tourists.